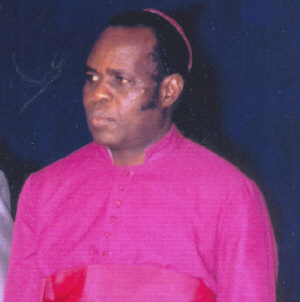 An image of Deya from his website, where he is listed as "Sinior Pastor" of London. I assume that they meant to say "Sinner Pastor." Sorry, cheap shot. Life is unfair. I was taught this at a young age, when the TV show Space: Above and Beyond, the awesome story of a squadron of marine aviators fighting giant insect space aliens, was taken off of the air. At the time, I was heartbroken, and until recently it was the least fair thing that had ever happened. But the situation around a man named Gilbert Deya now takes the cake, for me, in terms of unfairness; while I, a relatively decent person, am eating bread sandwiches four nights a week Gilbert Deya, a madman that kidnaps African babies and sells them to British couples, has his own private airplane. Now that’s unfair. Deya runs an evangelist church in England where, among other things, he claims that a couple incapable of having children can be blessed with offspring if they pray hard enough. That’s not much of a shocking claim. The shocking part is that Deya isn’t patient enough to let the Divine do his work; Deya flies to Kenya, kidnaps, steals, or buys a child, and brings it back to England. He, however, claims that the children are miracles with which the good Lord has blessed his faithful followers. He doesn’t run this ring alone. His wife, Mary, a couple from his flock near London, Miriam Nyeko and Rose Kiserem, and a couple from Nairobi, Michael and Eddah Odera, all have a hand in it. Miriam Nyeko has (genuine) children and a husband in London, but is being held in Kenya because of her involvement in a 2004 “miracle birth” during which she supposedly had a child named Daniel. This was despite the fact that multiple pregnancy tests confirmed she was not, in fact, pregnant, nor did she show any of the signs (getting a large belly, for example) of pregnancy. There exists a video that Deya claims proves Nyeko’s version of events. In it, a woman is shown laying unconscious on a table, and the scene then cuts to a bloody baby being held by a doctor. It seems that the only person who this tape has convinced is Nyeko; she believes not only that Daniel is truly hers, but that she has another miracle baby inside her that refuses to come out. I don’t see why it would refuse to exit the womb; this would be concrete proof establishing Nyeko’s innocence and compact with the Divine. Odera claims that he had three normal children with his wife Eddah and that she has delivered 11 more since 1999. At one point in 2000, a year during which she had three children, she was giving birth to miracle babies no more than four months apart. If this miracle baby thing becomes more widespread, a whole lot of gynecologists are going to be working overtime. That’s not even the record for most miracle babies delivered, a title which belongs to Deya’s wife Mary. She says she’s had 14 of them, one of which died, and one of which more or less fell out of her in the back of a taxi. She’d been on her way to a checkup due to fears of a liver problem, when she just suddenly became pregnant and delivered the baby. The two midwives who claim to have worked at Deya’s clinic and overseen the births of many of the miracle babies do not have any actual medical experience. Despite this, they claim that all the births they’ve seen were “normal.” They also claim that they’ve never been in trouble with the law, although Kenyan police say that they each pleaded guilty to a variety of related charges and served six months apiece in prison. There are hints that Deya’s work involves many more people. A number of people have come forth to the Kenyan authorities to claim that their babies have been, at best, stolen from hospitals. In one case, a woman says that he baby tested positive for HIV despite the fact that both she and her husband are negative. She thinks that someone at the hospital took the sick baby, swapped it for her healthy one, and then sold the healthy one to someone like Deya. Another woman claims that she’d been at hospital three times to give birth. Each time, the doctors gave her a cesarean section she felt unnecessary, and each time they told her the baby had died, though she never got to see it. In one case, she heard the nurses comment on what a chubby, cute baby she’d had, but was later shown the corpse of a skinny, sickly baby and told it was hers. Gilbert Deya is, at best, a monster. 19 children and babies remain in care in Kenya, having been seized from his groups. His close associates, such as the Oderas and Miriam Nyeko, are facing serious legal troubles in Kenya. Yet he remains free in Britain, not even out on bail. He collects money from his 36,000 followers, travels, and enjoys life as those he has harmed cannot. The only repercussion for him is that the British government refuses to issue him a passport until this is cleaned up. How many children have been kidnapped or bought in Kenya and brought to Britain to become the “children” of Deya’s followers is unclear. For his part, Gilbert Deya has made a lively attempt at a defense against the charges. The babies really are miracles, he says; their DNA does not match that of their parents because that’s the way the higher powers want it to be. His website contains not just a picture of him posing in front of his previously mentioned private jet, like some sort of peacock frat boy, but a long, confusing, and perhaps poorly translated account of the Kenyan authorities’ continuing involvement in his affairs. He claims that they have charged his wife with Murder and Drug Trafficking, though if that is true the Kenyans are certainly good at hiding it. Apparently, all his troubles stem not from his insane miracle baby claims, but some sort of program of religious persecution on behalf of the Kenyan government. I have nothing but respect for organized religion; it does many good things for its followers, helps make the world a better place, and stabilizes society. But sometimes even groups that are basically good can make mistakes; the stress on unquestioning faith in some communities has created a rich soil from which grew Gilbert Deya and his child-smuggling cartel. Those that are not religious would never have put any stock in Deya’s claims, and he would probably have been investigated the moment he made one of them. To the religious people that are reading this, I say that if any human being performs a miracle, you have the right, perhaps even the religious imperative, to be skeptical at first. I’m not going to argue that God can or cannot perform miracles; but I think we can all agree Gilbert Deya is not God. If the Devil can quote scriptures for his own purposes, he can surely conjure up stories of miraculous babies appearing out of thin air. The next time someone like Deya makes some extraordinary claim, the world will be a better place if, instead of assuming it to be a miracle and relying on nothing but blind faith, the congregations of the world scrutinize the man and determine whether his miraculous powers came from above or below.